Jordan Spieth didn’t get around to researching his mom’s Tweets. But the ex-Longhorn did dust Kevin Na 3&2, setting up a Friday’s match against Bubba Watson. 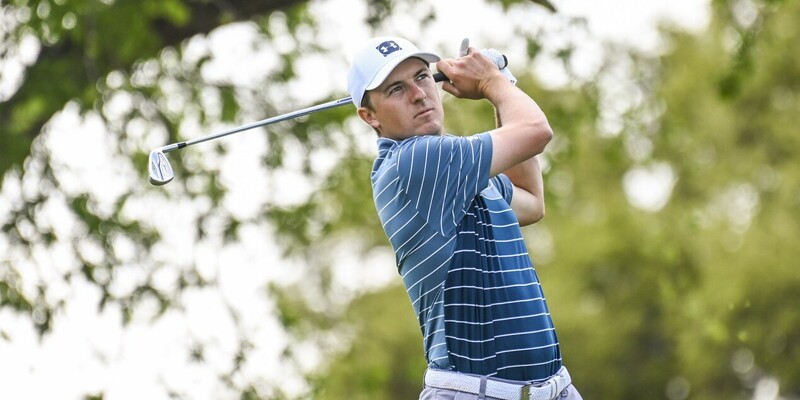 A win against the defending champion and a Billy Horschel tie or loss will give Spieth the Pool 15 win and a spot in the WGC Dell Technologies Match Play quarterfinals. After his dramatic first day tie against Horschel, Spieth was asked about his mom Christine’s Tweet storm attacking a proposed federal budget cut to Special Olympics grants. Spieth also mentioned he had not been on Twitter in a over a year. He adhered to Wednesday’s stance after his four-birdie, one-eagle day against Na on Thursday at Austin Country Club. So much for the overnight research. With the Masters starting in two weeks, Spieth is understandably focused on finding a game that has left him 186th on the FedExCup points list and without a top-5 finish since last year’s third-place finish in Augusta.The Longhorn is showing signs of regaining his game playing in front of admiring Austin galleries and on a course he played regularly in his two years playing under Texas coach John Fields.